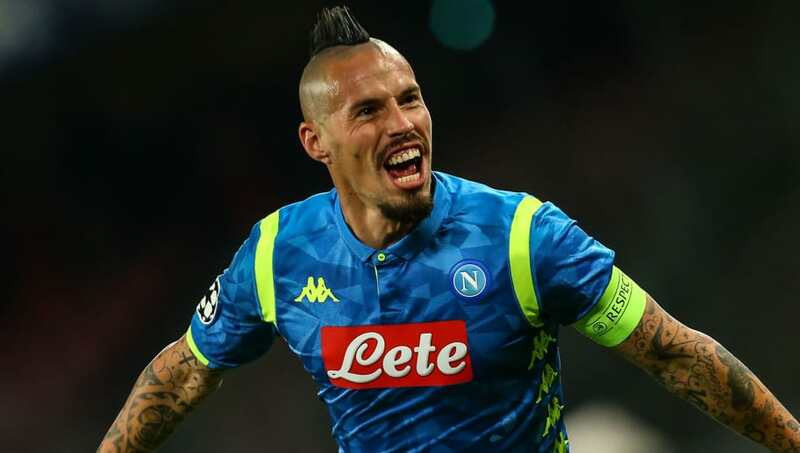 ​Napoli president Aurelio De Laurentiis has revealed that Inter, Juventus and AC Milan have all made offers for central midfielder Marek Hamsik in the past, but the club have never considered selling him. Speaking to ​Sky Sports, De Laurentiis discussed the importance of Hamsik's role in the team. He said: "I have some extraordinary guys who have been with us for so many years, among these is Marek, who we have never sold. “[Former ​Inter President Massimo] Moratti asked me for him many years ago. “The extraordinary thing is that he has nothing to prove. I get crazy when I see coaches who are desperate on the bench, but not him. It’s rare that the team doesn’t respond to his instructions, he’s a relaxed, quiet person who gives serenity to others." Finally, De Laurentiis was asked about Napoli's upcoming Champions League clash with ​Liverpool in December. The Partenopei will travel to Anfield to face a Liverpool side who must win to avoid elimination from the tournament, and defeat to Jurgen Klopp's side, coupled with a victory for Paris Saint-Germain against Red Star, would eliminate Napoli. De Laurentiis said: "Anything can happen there, but it won’t only be down to our game in a theatre of football like Anfield, you’re in the lions’ den there.